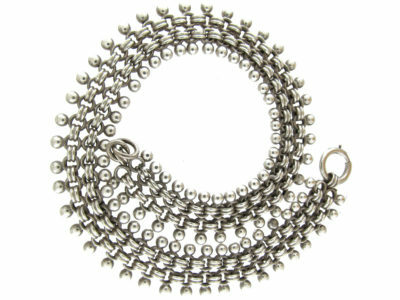 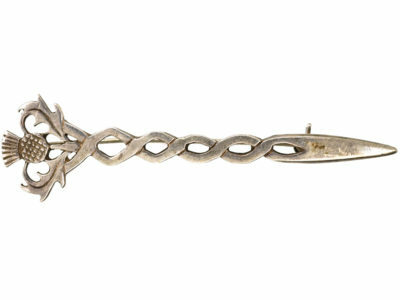 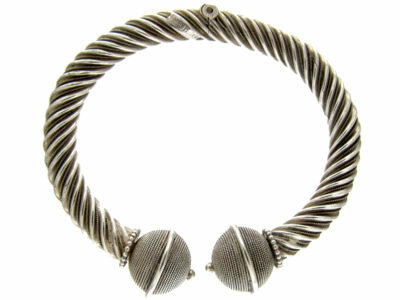 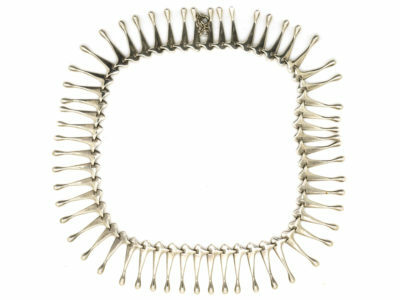 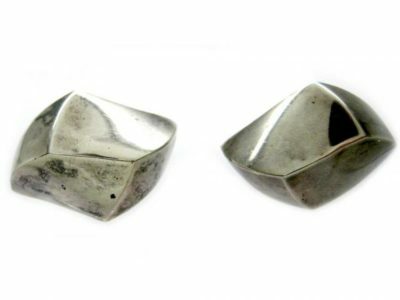 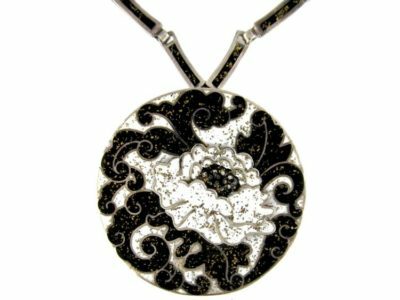 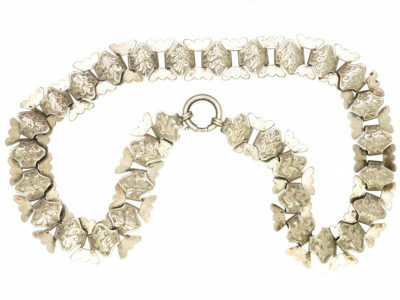 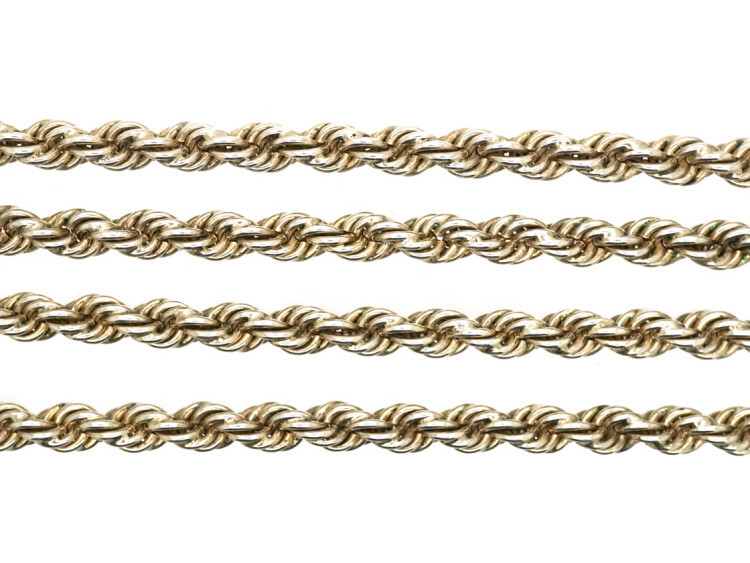 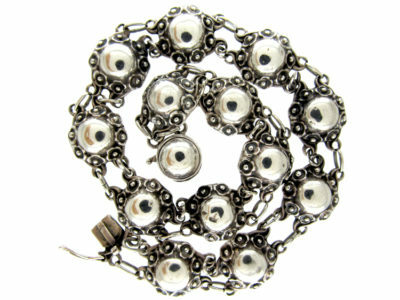 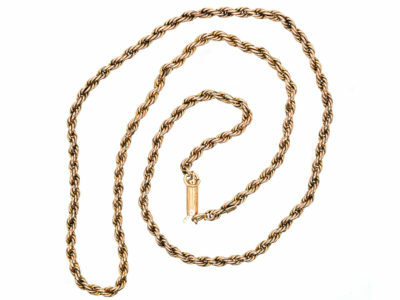 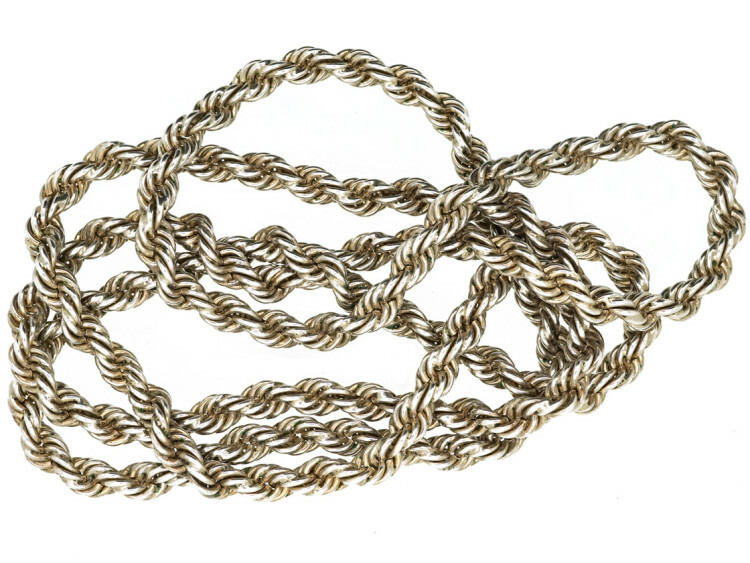 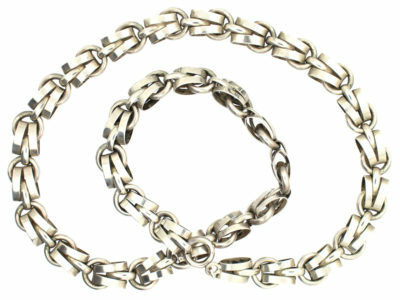 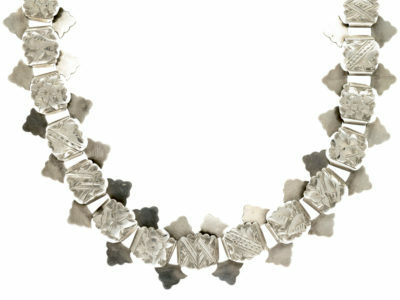 A continuous silver “Prince of Wales twist” thick chain. 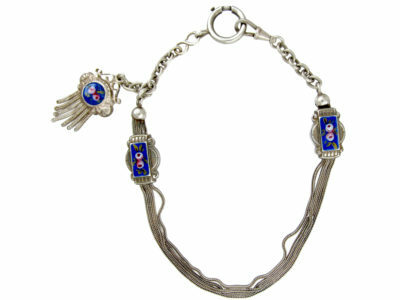 It does not have a clasp. 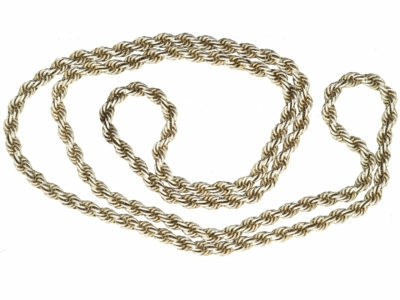 It is the ideal length for wearing over jerseys or a shirt.